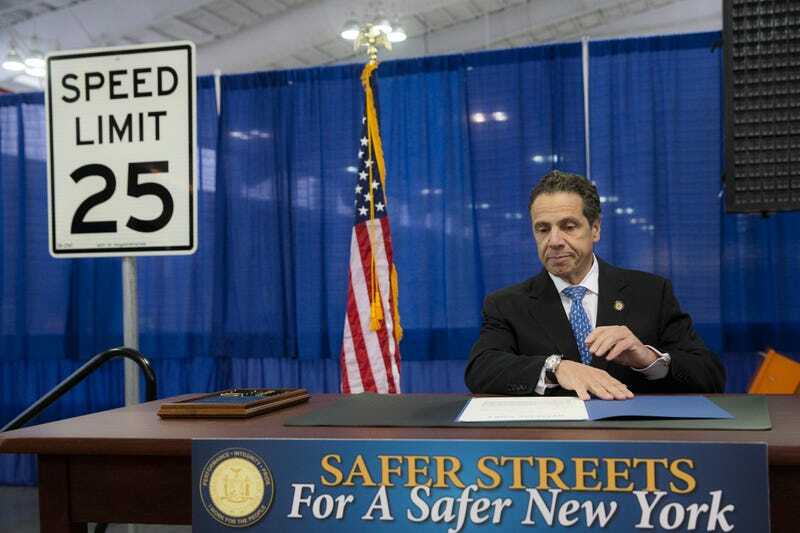 New York City introduced a 25 mile per hour speed limit a little while back, in the quest to reduce pedestrian fatalities. But now, politicians that had even fought for the new limit are now pushing back, because it inevitably has made some streets more dangerous than they were before. Tell me if you saw this one coming. Mostly because we, humanity, have never heard of foresight, and we love a good tale of unintended consequences. There’s a major thoroughfare in Brooklyn known as Ocean Parkway, which travels from Prospect Park all the way down to Coney Island. It’s six lanes wide to carry the main bulk of the traffic, with an additional lane on each side to serve as a turning lane, separated from the main flow by a wide median containing not just pedestrian paths, but also the oldest bike paths in the United States. And it wasn’t just designed for carrying mass loads of traffic by some schmoes, either. It was designed by Frederick Law Olmstead and Calvert Veaux. You may have heard of them because of a little green space they designed known as Central Park. When used as it’s designed, it carries traffic pretty well, and by carrying all that traffic it keeps local, residential streets pretty bare of cars. But now that there’s a 25 MPH speed limit, and that speed limit is photo enforced, as it is on Ocean Parkway, that wreaks all sorts of havoc with the traffic flow. The city Department of Transportation is unfazed, however, maintaining that Ocean Parkway is already pretty damn deadly for pedestrians, so a lower speed limit is clearly the answer. Except the end result of increasing traffic on residential streets is clearly not the answer. Obviously, pedestrian deaths are bad, but shoving more traffic onto residential streets, where kids tend to play on a regular basis, is the end result that everyone should’ve seen coming.